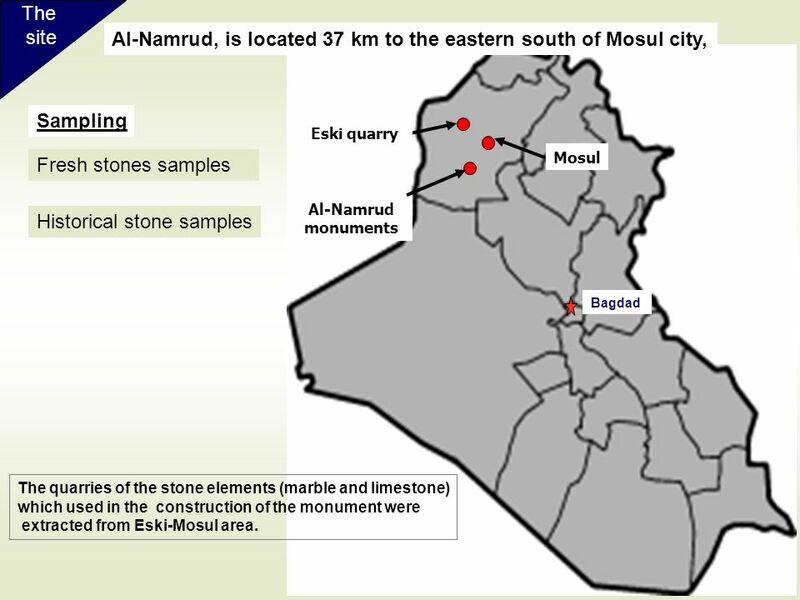 characterization of historical stone and fresh stone treated with accelerated decay tests Ali H. E., Khattab S.A., Beck K., Al-Mukhtar M.
site Al-Namrud, is located 37 km to the eastern south of Mosul city, Sampling Eski quarry Mosul Fresh stones samples Al-Namrud monuments Historical stone samples Bagdad The quarries of the stone elements (marble and limestone) which used in the construction of the monument were extracted from Eski-Mosul area. 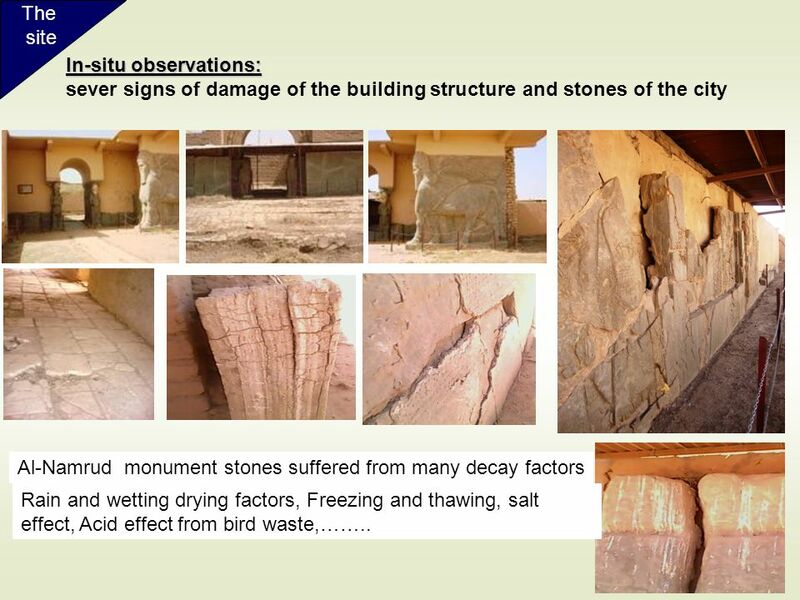 8 The site In-situ observations: sever signs of damage of the building structure and stones of the city Al-Namrud monument stones suffered from many decay factors Rain and wetting drying factors, Freezing and thawing, salt effect, Acid effect from bird waste,…….. 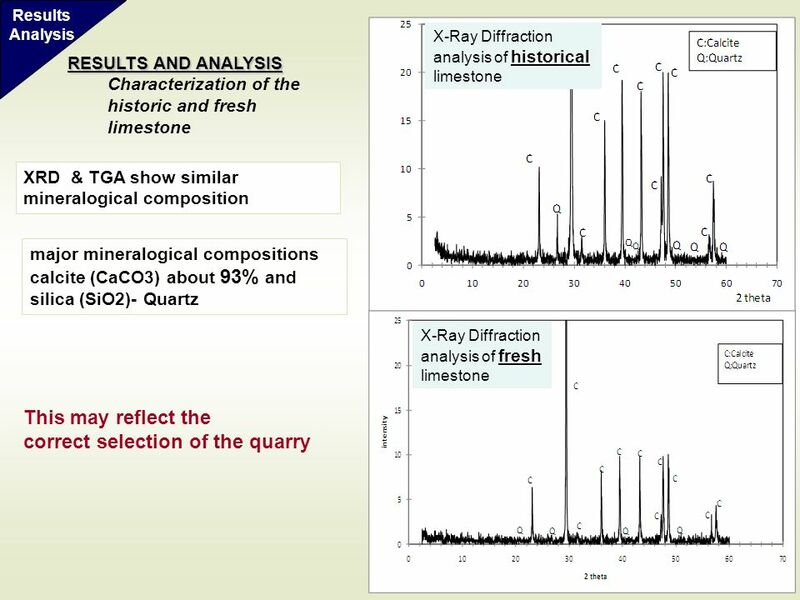 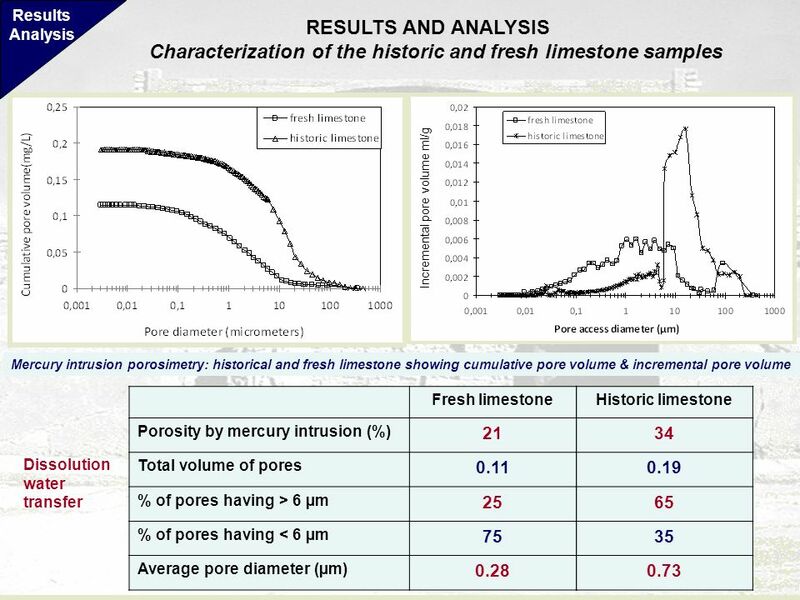 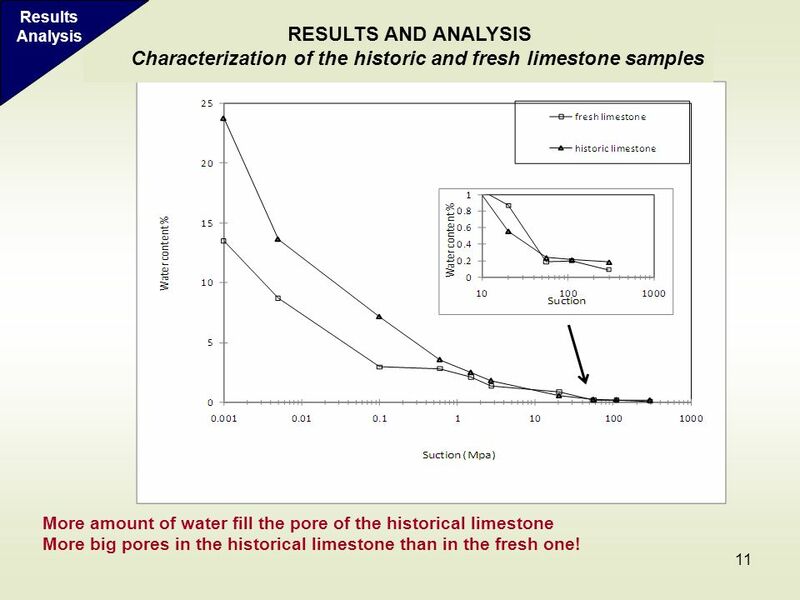 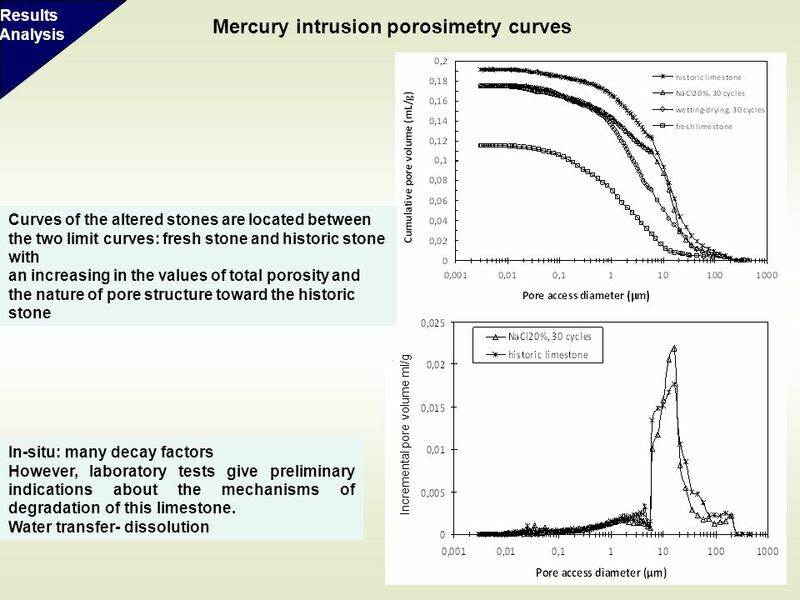 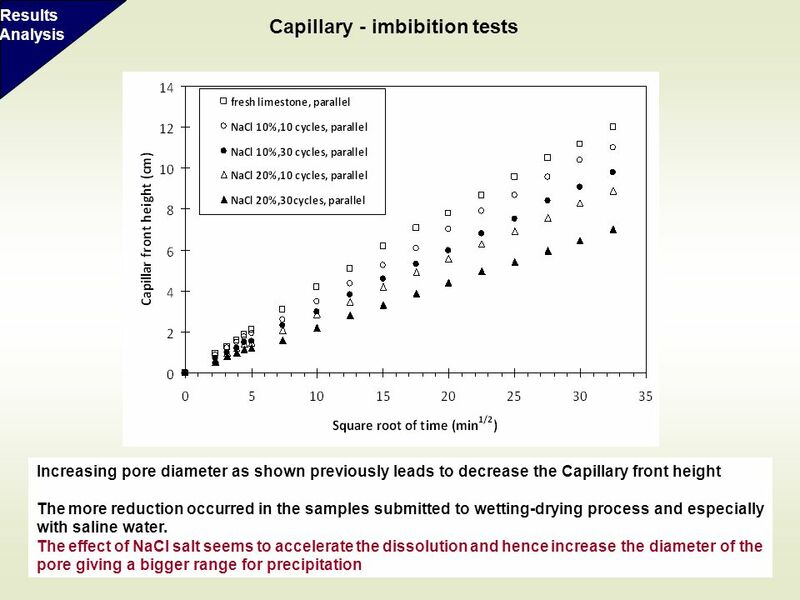 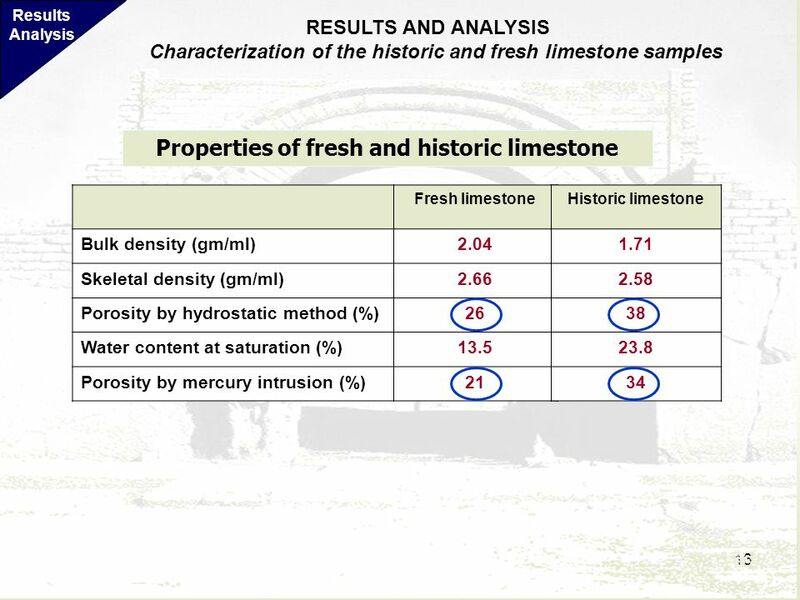 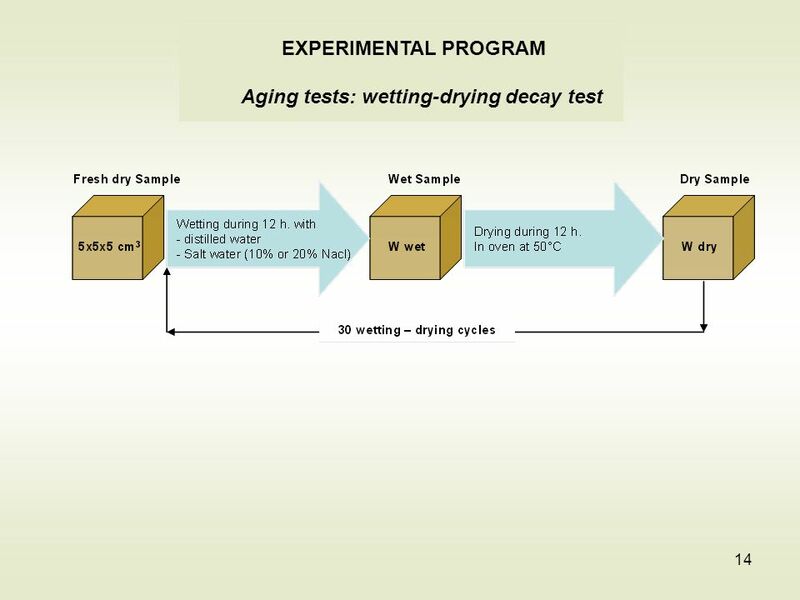 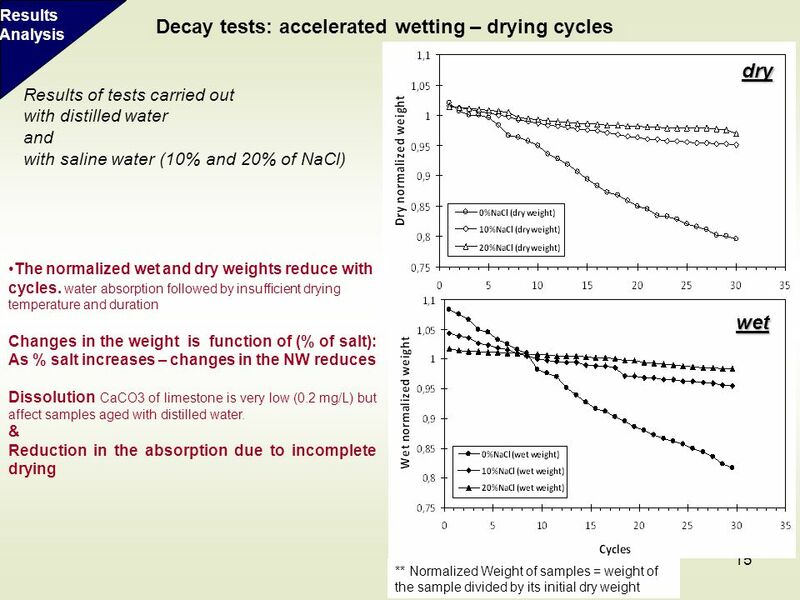 Results Analysis RESULTS AND ANALYSIS Characterization of the historic and fresh limestone samples More amount of water fill the pore of the historical limestone More big pores in the historical limestone than in the fresh one! 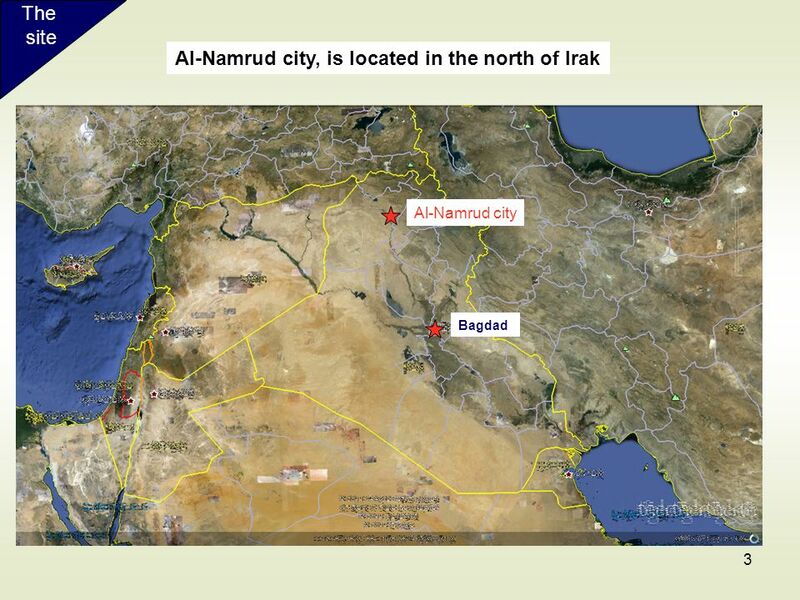 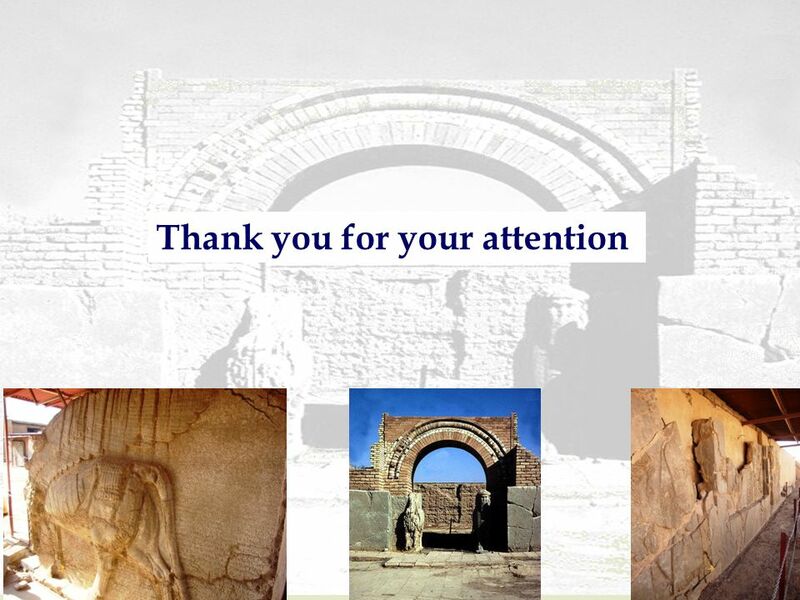 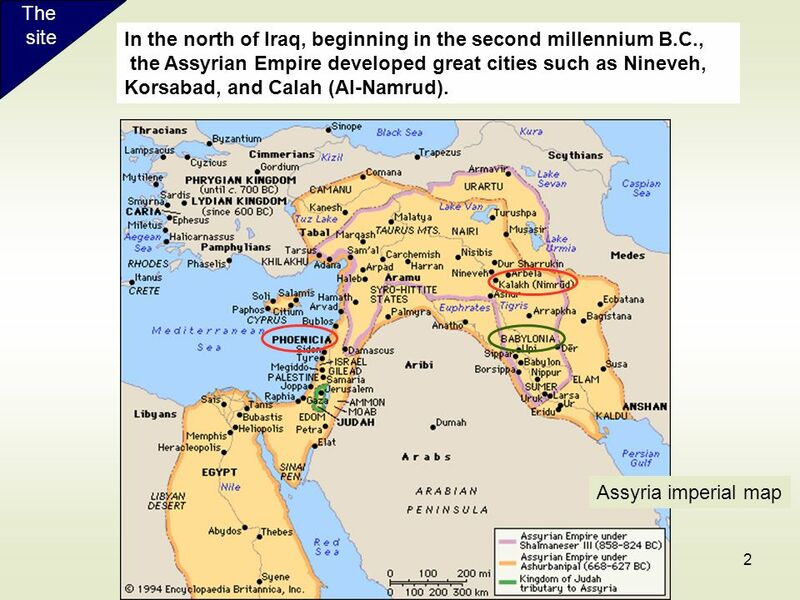 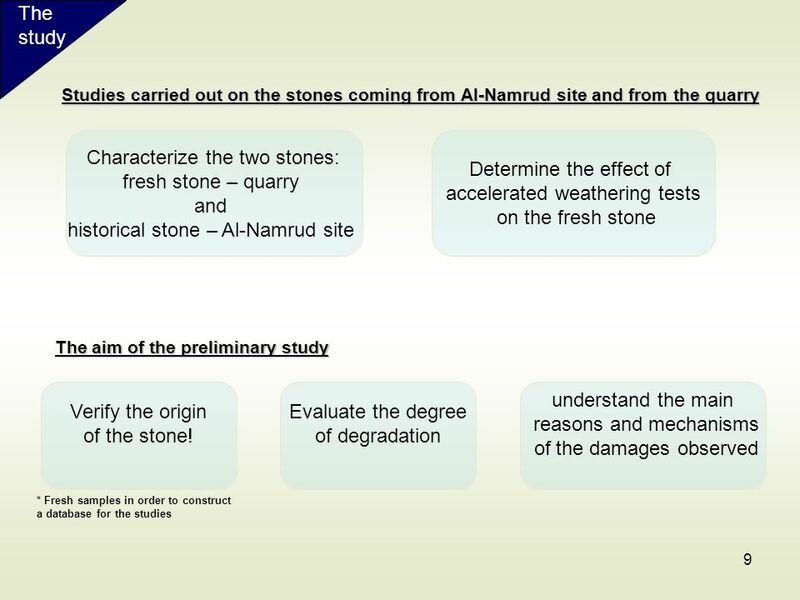 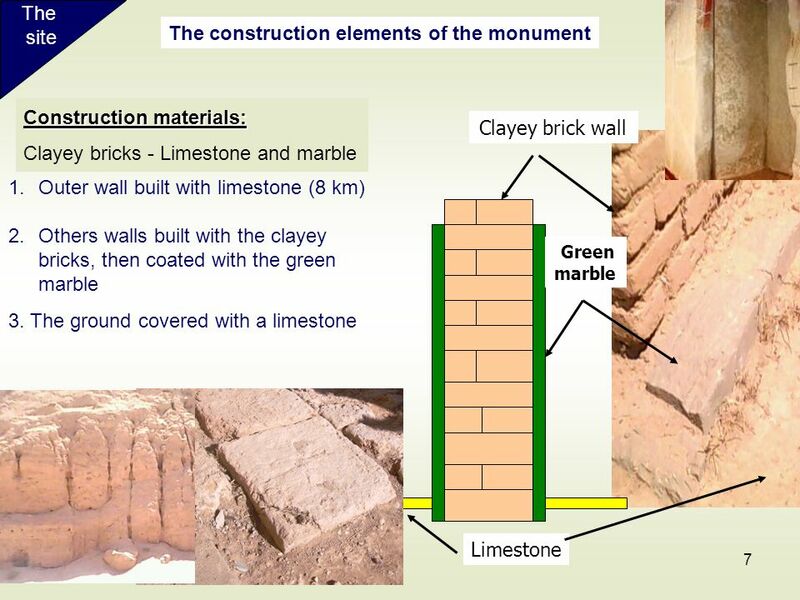 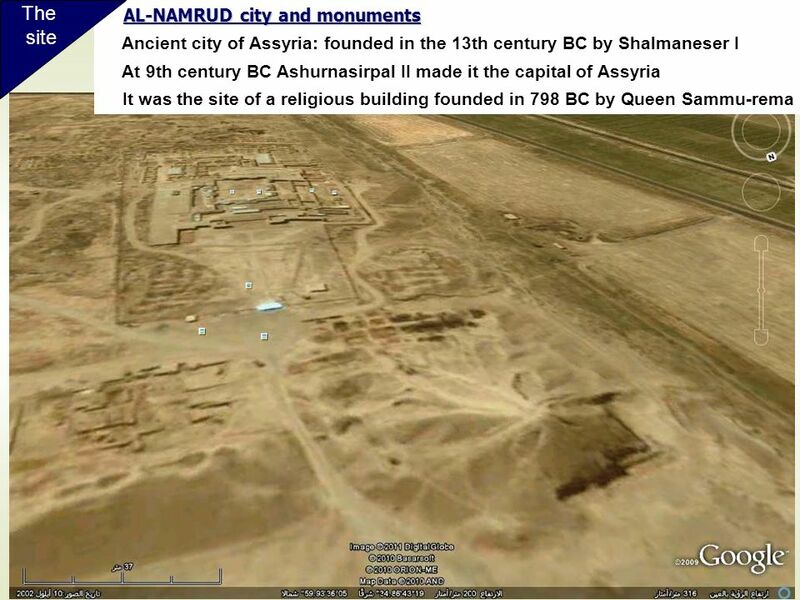 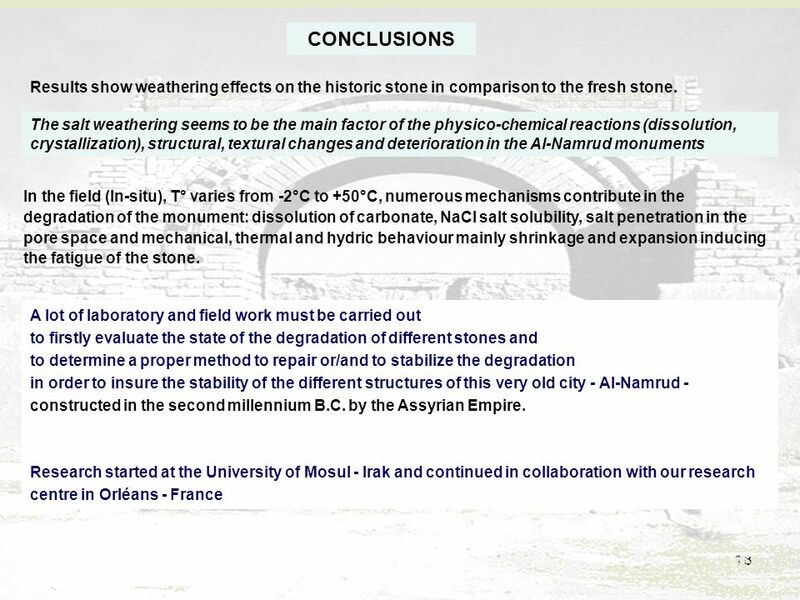 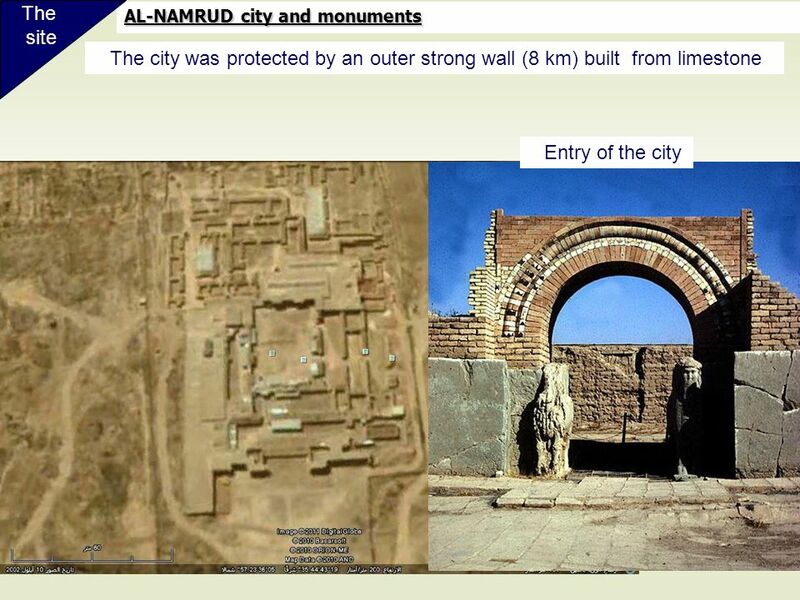 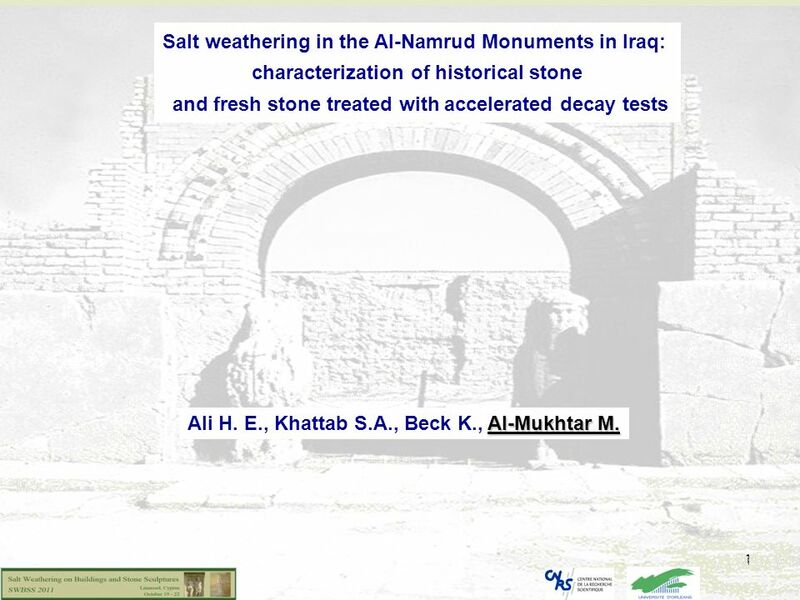 Download ppt "Salt weathering in the Al-Namrud Monuments in Iraq:"